Virgin Casino is based out of New Jersey so that it can best serve the residents of that state. Combine that with a great selection of casino games, a mobile app, and plenty of other benefits, and it’s not hard to see why players in New Jersey should give Virgin Casino a shot when selecting an online casino. This Virgin Casino review will take you through everything Virgin Casino has to offer. Virgin Casino has a very strong welcome bonus, which gives them top marks in this portion of our Virgin Casino review. Players who sign up for a new account and make an initial deposit have a set amount of time to enjoy the offer after placing their first wager. Check out the latest promo codes for more information. The bookmaker has a minimum of $10 per withdrawal, which shouldn’t be a problem depending on how this promotion is used. This promotion earns top marks in our Virgin Casino review. Update: new Virgin Casino welcome offer coming soon! Virgin Casino has a perfectly adequate suite of online casino games for players to choose from. They offer a ton of different slots games, including pop-culture centric games such as Family Guy and Wheel of Fortune. They also offer a number of table games, which combine the classic casino games with variations on them, as well as video poker. But Virgin Casino falls into a trap that a lot of US-based online casinos do, which loses them points in our Virgin Casino review. That pitfall comes in the form of live dealer games. Live casino games are so much fun, and for an online casino in this day and age not to have them is a big blow to their overall appeal as a casino site. While players can still enjoy things like blackjack, roulette, and baccarat while trying to defeat a faceless house, they miss out on the opportunity to beat an actual dealer. Unfortunately, it isn’t possible for Virgin Casino to score high marks in this section of the Virgin Casino review, as they do not offer live casino games. Players who want to take on a live dealer need to either go to a physical casino, play at another online casino site based out of New Jersey, or go with an online casino site from an offshore provider. This is especially disappointing given the 2016 move by Betfair and Golden Nugget to introduce live dealer casino action to their online casinos. When the competition has such a clear leg up on you, it makes it difficult to fully enjoy everything else that you have to offer, as players could very well wonder what else competitors are superior to you in. Virgin Casino makes up for its lack of live casino games by offering a visually stunning mobile app, earning them major points in our Virgin Casino review. Virgin is one of the most visually appealing brands in the world no matter what industry they’ve got their hands dipped into, with their casino mobile app certainly not being an exception. Much like other New Jersey-based online casinos, Virgin Casino has a refer a friend program that makes it worth everyone’s while to take part. Players who refer a friend to Virgin Casino get a $50 bonus, while their friend gets a $10 as well. Other promotions at Virgin Casino include vacation giveaways, with players earning an entry each time they spend $50 at Virgin Casino, good for up to five entries per day. Players can also take advantage of community jackpots, where one player winning a jackpot triggers prize money to go out to the rest of the Virgin Casino community based on how much you’ve played for recently. Needless to say, there are a lot of promos available for Virgin Casino players. 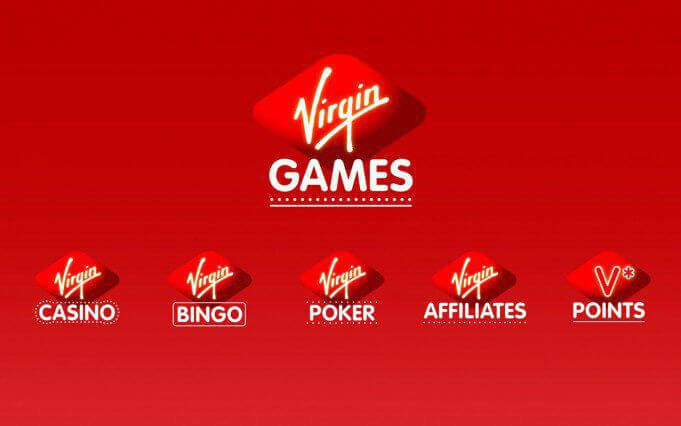 Aside from traditional promotions, players can also join Virgin Casino’s VIP club by contacting Virgin Casino. Members can receive access to weekend trips, dining experiences, tickets to shows and sporting events, and even customised VIP experiences depending on your expenditures at the site. Players are also able to earn V Points for playing at Virgin Casino, with a point earned for every $40 in slots play and every $100 in other games. Virgin Casino review readers will be happy to see that the site has a strong array of customer service options, including live chat, telephone, and email support. Virgin Casino has a ton of payment options available, earning them another high score in their Virgin Casino review. Virgin Casino is a very well put together online casino, but it just falls short when it comes to the games that they offer, specifically due to their lack of live casino content. Please be sure to visit the Virgin Casino website to review the Terms of Service and all terms and conditions applicable to all aspects of online gaming on the Virgin Casino online gaming sites, including, but not limited to, Promotional Terms, Reward Plans, etc., which terms and conditions and related policies may change from time-to-time at Virgin Casino’s discretion, subject to regulatory approval.